Once again I’ve run out of time before Shabbat. One of these days I will write another Good News Friday post but for now, I wish everyone a quiet, peaceful, safe and healthy Shabbat. 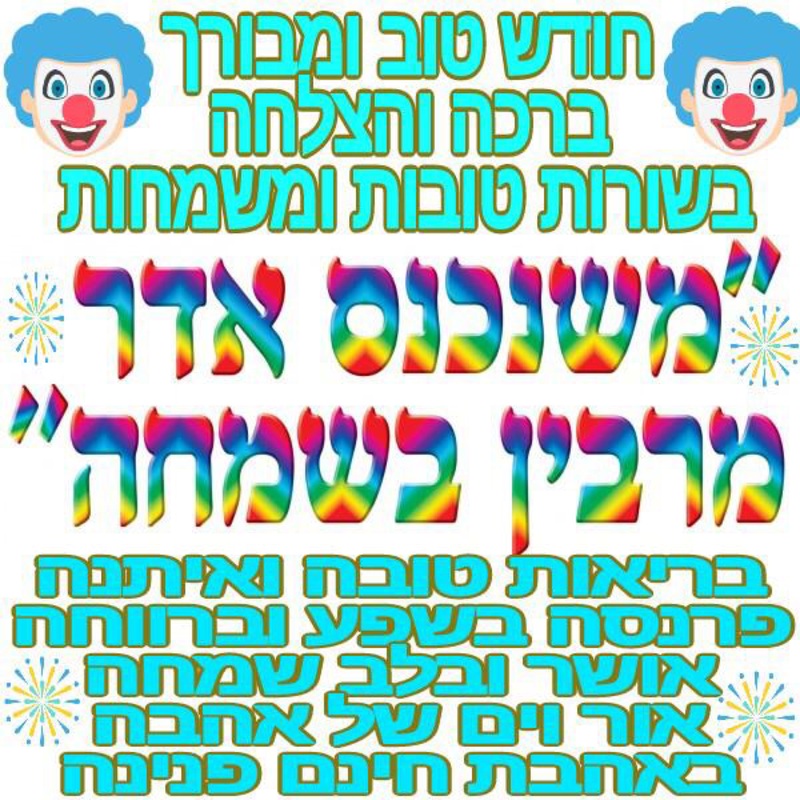 It is also Rosh Chodesh today, the first of Adar II, the month in which we increase our joy in honour of the upcoming festival of Purim. In that spirit I wish you all Chodesh tov too! May this be a month of good health, happiness, and blessings. This entry was posted in Israel news, Judaism and tagged Judaism, Shabbat shalom. Bookmark the permalink. Chodesh Tov and we should only hear good news! Meaning G-d is saying that He is the Ine who heals us.So wishing a Refuah Shlema,A speedy recovery for all those who need it.They need a Purim miracle of” Ve nahafochu.”Where all bad expectations are turned around for the good. I’ve never heard of those initials for Adar before. Clever, and inspiring. thank you.